A fund-raising night in O'Connell's Bar on Friday 17 August will help with the costs for canoeist Ronan Foley to compete in the World Marathon Championship in October, writes Brian Byrne. He won a gold medal for Ireland in the Canoe Marathon European Championships in Croatia in early July. That was his second big win of the year — he won another gold in May at the Canoe World Cup in Portugal. 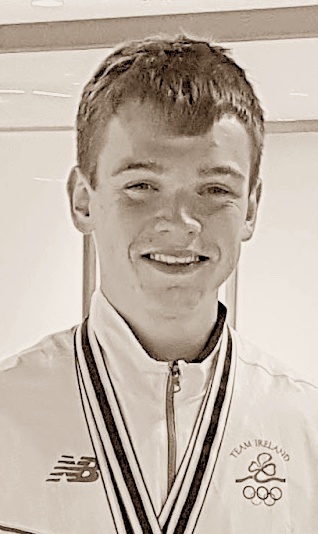 And he produced another promising result at the canoe sprint World Junior and Under-23 Championships in Plovdiv in Bulgaria just a week ago, winning the B Final of the Junior Men’s K1 500 metres. He had also won the B Final of the K1 1,000 metres. He placed 10th overall in both K1 500 and K1 1,000. Ronan also took part in the World Canoeing Championships in Pietermaritzburg in South Africa last year. His winning performance is the result of very hard work and persistence over several years. He brought home silver and bronze from the same Portugal event last year. Ronan, who began paddling with Kilcullen Canoe Club, also took home a bronze medal from the 2017 Sella Descent in Spain. He was among more than a thousand paddlers who took part in the annual 20km event, taking home his medal in the Junior Men's K1 division and adding to an impressive array of achievements over recent years.